Since I had another baby, cooking time for dinner has been a stressful time for me. Especially a 8-month-old doesn’t stay still and I literally can’t take my eyes off him. He eats sandals, picks a thin tiny hair from the floor and put in his mouth, and tries to stand up but ends up unsuccessful and bump on his head… A nearly-4-year-old, on the other hand, keeps telling me “I’m hungry~ I’m hungry~.” I tell him “I’m cooking dinner, wait for a bit” but he insists to have some snack while waiting. Snack would spoil his appetite, but most of the time I just give him something so I can prepare dinner. It seems that I don’t have proper time to cook decent food these days. I can’t stay in the kitchen for too long while 2 boys are in the house. I’m trying to figure out what would be the best solution for this. What other mums do? I hear some only cook once a week, and heat up the dinner each day. Would that be a great idea? I’m finding hard to find a time to do grocery shopping as well. I think I need to think about the routine and schedule ahead the menu of the week . Anyway, one day I had a cabbage in the fridge and I thought I should cook this before it goes bad. It’s taking a big space out of fridge too. 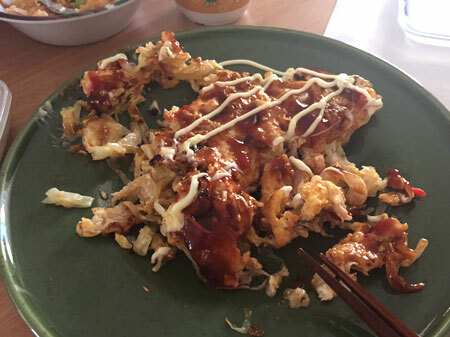 I decided to make something, maybe okonomiyaki – all these events in the city are making me feel like munching on some Japanese street food. But on that day I even thought making okonomiyaki dough with flour would be too much trouble. I was very lazy. So I did skip that part and made this …. 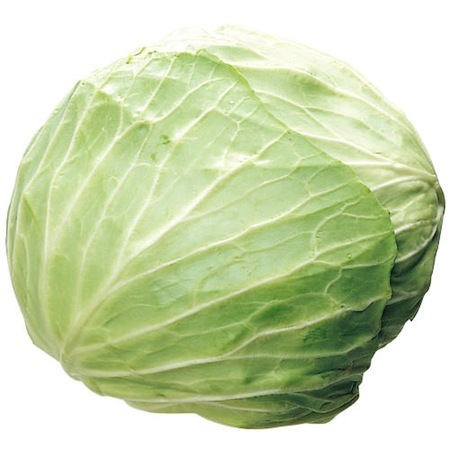 cabbage-yaki! Messy photo – sorry I had already started eating this. Looks like okonomiyaki. It tastes like one too! But I basically used just cabbage, prawn, red ginger (which is a key ingredient to resemble okonomiyaki) and egg. I skipped the flour. 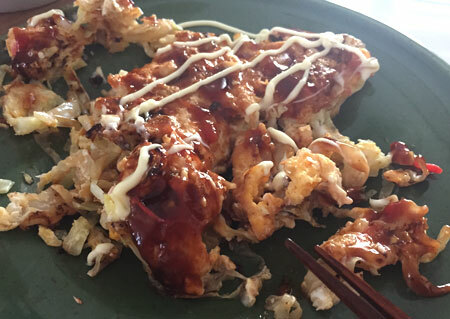 Adding the sauce and Japanese mayonnaise gave it the similar taste to okonomiyaki, and it was super quick to make. It’s basically an omelet with sauce! Heat a frying pan and spray oil on to the pan. Cook prawn and ginger until the prawn turns pink. Add cabbage, and sauté until it becomes soft. Add ginger, stir. Beat an egg in a bowl, and pour over the pan evenly. Once the bottom is set, flip over and cook another side. Serve on a plate. Mix tomato sauce & oyster sauce, and cover the omelet. Dress with Japanese mayonnaise. Serve immediately. A super quick snack/supper is served.